This clock that My Mother gave me has a Sessions paper face, but on the back of the face plate is inscribed the year 1899 saying the chime hammer was replaced in July of that year. The thing is, according to my research, the Sessions Clock Co. didn't start making clocks until the early 1900's. The clock works also say Sessions. 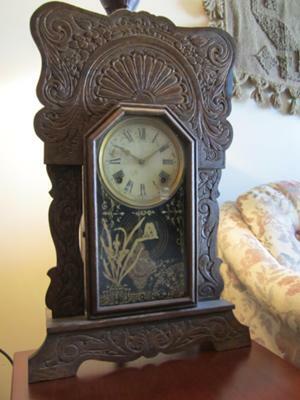 Im thinking maybe the clock had been rebuilt and the backing plate of the face was from an older clock, perhaps a E.N. Welch.